Published in APPPA Grit Issue 107, September/October 2018. 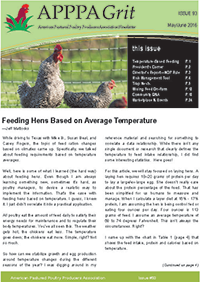 This article provides an understanding of the lectin-free, grain-free, pasture-raised poultry advice being popularized by the Plant Paradox. ​Are your chickens truly grass-fed? Do you feed them any grains? 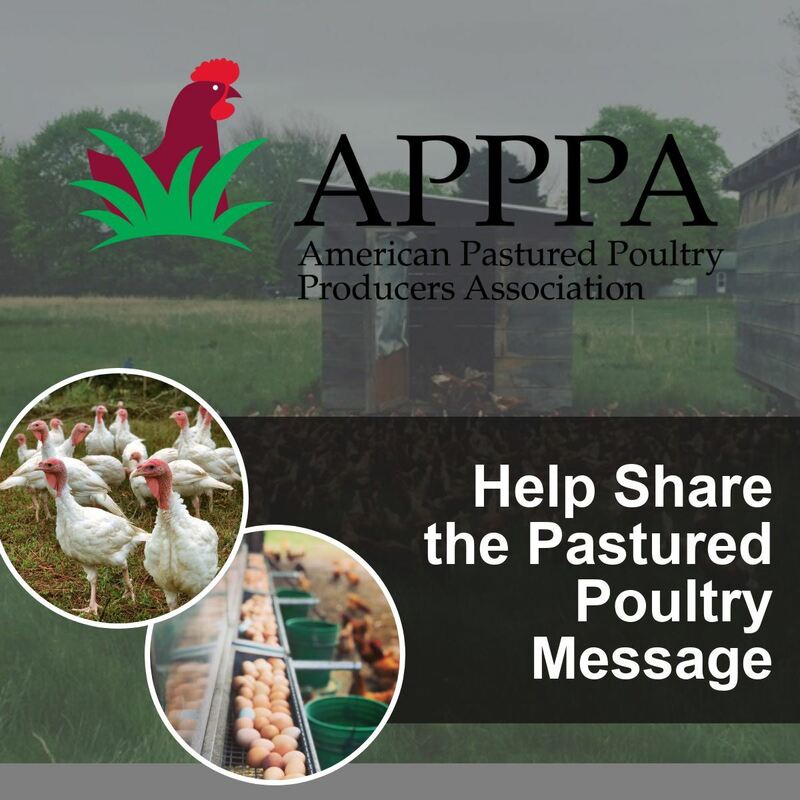 These types of consumer questions about grain-free chickens are plaguing pastured poultry producers around the country, and I wanted to get to the bottom of it. It didn't take much Googling to stumble upon The Plant Paradox, a popular diet book written by Dr. Steven Gundry, a well-respected cardiologist with many incredible professional accolades to his name, such as the largest number of infant and pediatric heart transplants to date, and the longest baboon to swine heart transplant, plus a host of medical device patents as well. Dr. Gundry is a well-respected member of the medical community, so when it comes to hearts, he knows a thing or two. I’m focusing on his recommendations for eating chicken. In The Plant Paradox, his readers buy grain-free, pasture-raised chicken to avoid lectins. To summarize his dietary advice, he recommends avoiding all foods containing lectins. So, what are lectins, you might ask? Lectins are protein molecules that bind to carbohydrates, and while there are dozens of different types of lectins that all behave differently biologically speaking, many act as anti-nutrients, like our old friend, raw soybeans. These proteins are found in many foods, especially legumes, such as beans and peas. They also lurk in whole grains, such as lentils, corn, wheat, rice, barley, and many other commonly used grains. Lectins are also found in many fruits and vegetables containing seeds, such as apples, squash, nightshades, and many more. The list of allowed foods is shrinking significantly. Since lectins are protein, that should be a good thing, right? Well, the short answer is maybe. A primary function of lectins in plants is as a part of the natural defense system. Every living organism has at least one mechanism of self-defense, including plants. Anyone who’s ever tried to grow tomatoes knows that bugs don’t show up until right when the fruit is ripening, and then seemingly overnight the damage is devastating. Even in The Plant Paradox, the author points out that prior to the introduction of the Granny Smith apple, it was known that eating green apples would produce very unwanted consequences. It’s amazing how these systems are designed for the continued propagation of life! For whole grains, those seeds are designed to fall from the plants and lay in wait until the time and conditions are right for germination. Meanwhile, others, like fruit and vegetable seeds and nuts are intended to be consumed and subsequently carried away, only to be deposited elsewhere, far enough away from the parent plant or tree to not compete for nutrients, sunlight, or mere existence. Can you think of a species more capable of carrying away small seeds great distances than the avian species? The argument that nature wants these seeds to be eaten doesn’t fall on deaf ears, but who determines which species are the eaters and which of them aren’t? For subscribers of the low lectin diet and advice given by Dr. Gundry, it is expected that poultry producers raise chickens not only physically on grass, but that we also do not provide them any sustenance outside what they would receive from foraging for plants and insects. Both in his book and on his blog, he has incorrectly labeled chickens as "insectivores" and assumes this diet is obtainable, and that you simply need to make sure your provider of poultry follows his guidelines. Chickens are omnivores and are not, by nature, insectivores. They are opportunistic foragers with highly acidic digestive systems. There is very little a chicken cannot eat, making their diets very flexible based on their geographic location. Before their domestication, chickens ultimately originated from jungle fowl, having a diet rich in seeds, insects, reptiles, tender green plants, small mammals, dead animal carcasses, fallen fruit, and most other opportunistic nutrition. This flexibility in diet allows jungle fowl to thrive in most environments. However, in those conditions, they do not reach maturity until 6 to 8 month of age and only reach live weights of approximately 2.5-4 lbs. Using even the most conservative calculations, these birds would have consumed over 25 lbs. of foraged food during that time, and their resulting meat would possess a tough/stringy and strong flavored quality. By and large, this is counterintuitive to what pastured poultry growers are trying to produce. As prey animals, this also meant they spent most of their days under the protective covering of the tree canopy and not out in open pasture for extended periods where they would be vulnerable to predation. It comes as no coincidence that chickens naturally lack the microflora to survive on plants and grass alone, making them unable to fully utilize their nutrients in the same capacity as herbivores. It’s not uncommon for customers to regularly bring forth concerns regarding their personal diets and whether the animal’s diet is compatible with the resulting products we raise, be it for meat or eggs. The organic and non-GMO choices aside, the largest specialty feed request to date has been for chickens raised on feeds that do not contain soy. Next in line, and increasingly more requested, would be both soy and corn free. As you can see, more and more ingredient limitations are being placed on formulators of feed rations to come up with solutions for these requests. Until now, most of these requests have been relatively achievable with reasonable effort and costs. However, with Dr. Gundry's dietary pillars of no or very little lectin fed poultry, most logic has left the equation on how to responsibly, sustainably, humanely, and cost-effectively formulate feed for chickens that meet the requirements of his diet program. Those pesky lectins are lurking around every corner. Unless poultry producers are willing to rip all their clover and alfalfa out of their fields, it would be impossible to remove all the lectins from your chicken’s diet, since lectins have the highest concentrations in legumes. Meanwhile, you’ll still find those lectins present in other pasture grasses in varying amounts during their growing periods, especially leading up to their grain phases of development. The medical community is just like any other; it’s filled with differing opinions. For every claim, there is a counter-claim with both sides offering evidence to support their argument. The claim that removing lectins from your diet is good for the prevention of cancer can be backed by the impressively long bibliography of The Plant Paradox. However, there is research published in a Gastroenterology article, “Diet and colorectal cancer: an investigation of the lectin/galactose hypothesis” showing those same lectins contain anti-tumor properties. Another study, “Lectins as bioactive plant proteins: a potential in cancer treatment,” published in Critical Reviews in Food Science and Nutrition, demonstrates lectins show promise as a potential cancer treatment as they bind cancerous cell membranes causing inhibited cancer cell growth. A recent study out of Finland, “Attention decay in science,” concluded that there are “too many studies” for scientists; they “are unable to process the information.” It’s a never-ending saga trying to keep up with the more than 2.5 million new studies across nearly 30,000 different journals annually. While Dr. Gundry may have been able to connect a few dots within his research and his patients more studies are needed as they pertain to chickens and their feed. Due to the significant number of potential variables regarding the impacts of lectins on poultry and the resulting effects on the consumer of those products, it hardly seems wise to up-end your operation for what really may only account for a small percentage of your customers until further research can be done. Ginger Shields is an APPPA board member and farms at Pastured Life Farm in O’Brien, Florida.